Dr. Howard E. Stein is a board certified optometrist who is DPA and TPA licensed to use diagnostic and therapeutic medications. Dr. Stein graduated from Southern California College of Optometry in 1959. He Is a member of the South Bay Optometric Society, the California Optometric Society, the American Optometric Association, and the Contact Lens and Cornea Section of the American Optometric Association. Dr. Stein was chosen as a Centennial Honoree by the Southern California College of Optometry. This honor was conferred upon 100 of the optometrists who contributed to the field of Optometry and Southern California College of Optometry between the years 1904-2004. 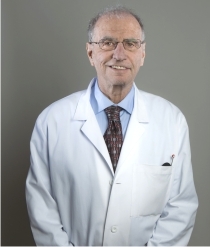 Dr. Stein is a benefactor for the Stein Contact Lens and Cornea Clinic at Southern California College of Optometry.